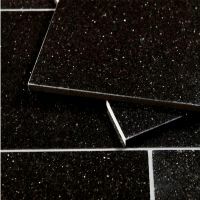 We have been producing polished, bevelled and calibrated granite tiles at our Pedrini tile plant since the early 1980s and have probably produced in excess of 2.5 million square metres of granite tiles since then. We were the first Indian company to achieve successful quantity granite tile production and discerning buyers & specifiers worldwide appreciate our commitment to the highest quality production for their projects. After many different trials we have settled upon recycled cardboard packing for our granite tiles. For the regular 305 x 305 x 10 mm format the tiles can be packed in either 5s or 10s, for larger formats we usually only pack in 5s or 6s as can be seen in the packing specifications below. 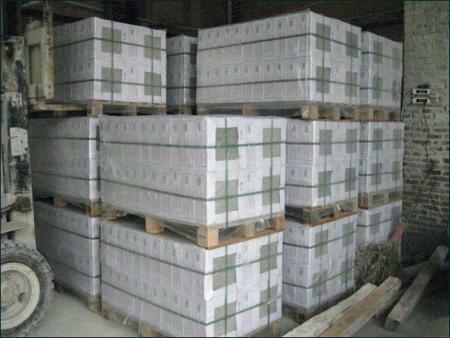 Some of our customers prefer their granite tiles to be delivered on Europallets rather than traditional wooden crates. This does have a slight weight advantage over wooden crates however the biggest advantage for them is not having to deal with the disposal of the wooden crates which can be a problem in some metropolitan areas. For all types of packaging we normally attach CE Labels to each crate which shows the Material Name, Sizes, Number of Pieces, Made in India and CE Mark. 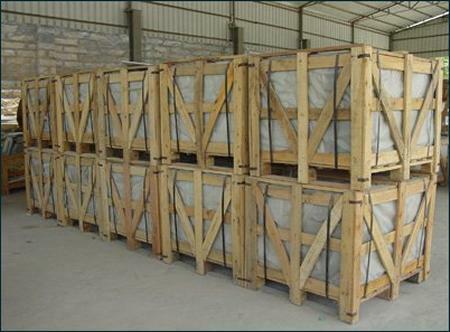 Naturally we still supply many customers with granite tiles packed in traditional wooden crates which are suitable for outside storage and stacking. 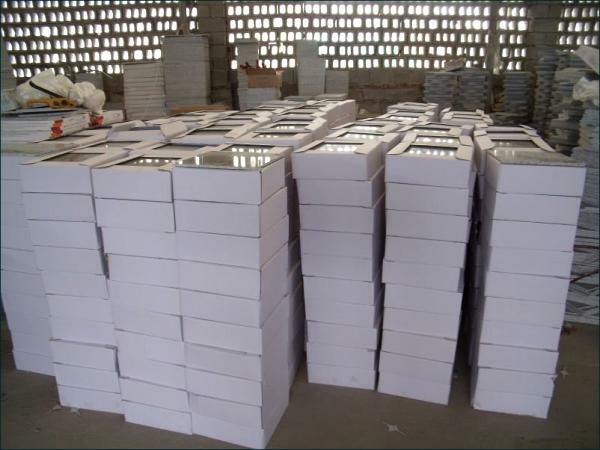 These crates are custom-made therefore if you require crates with a lesser quantity of granite tiles, say 21.4 m2 rather than 42.79 m2, it is not a problem for us. 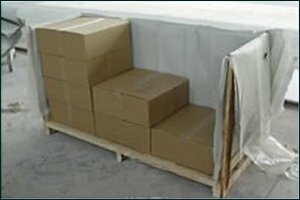 The crates are made of heat treated wood or fumigated and treated with Methyl Bromide. To provide extra strength the packed wooden crates have extra corner reinforcing iron strips.